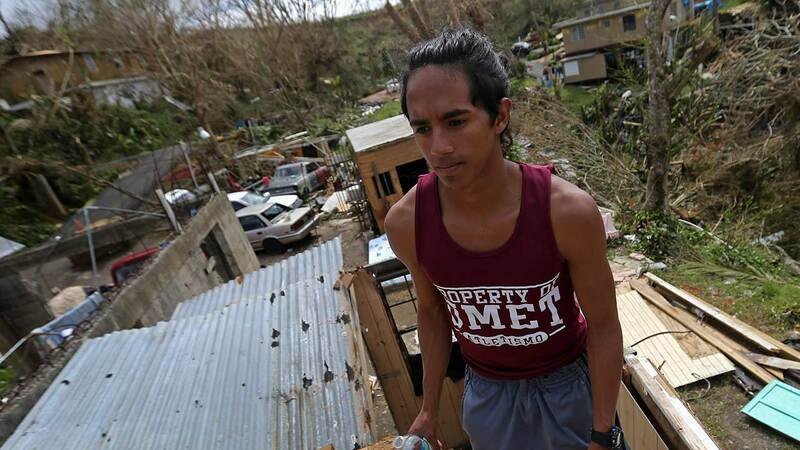 Hurricane Maria, the strongest tropical storm to hit Puerto Rico in nearly a century, killed more than a dozen and left behind untold destruction. "What's out there is total devastation. Total annihilation," San Juan mayor Carmen Yulín Cruz said. She said the lack of power and the oppressive heat are making the situation even more dire. "People literally gasping for air. I personally have taken people out and put them in ambulances because their generator has run out," she said. Here's everything you need to know about how to help those affected by the disaster in Puerto Rico and on other Caribbean island. Most charities prefer monetary donations, especially if you plan to donate internationally. These are more flexible and cause less of a strain on the charity, allowing them to help more, USAID explained. "Unlike material donations, cash involves no transportation costs, shipping delays, or customs fees. It also enables relief organizations to spend more time providing aid by spending less time managing goods," the organization explained on its website. Learn more with USAID's "greatest good donation calculator." Before you donate to a charity, make sure you know where your aid is going. The Center for International Disaster Information recommends checking with a charity monitoring organization like GiveWell, Charity Navigator, Charity Watch, or the Better Business Bureau before donating. Make sure your donation is secure by going through an organization's official website or sending a check in the mail. Charity Navigator says you should never donate over the phone, email or unknown social media pages, as these are easier for scammers to target. Follow these links to donate to campaigns related to Puerto Rico and Hurricane Maria. Many pages also provide information about specific ways your donation will help. Children's Hunger Fund: This organization provides food and other aid to children by coordinating with churches. This is their Hurricane Maria relief page. Heart to Heart International: This is the hurricane relief page for the organization, which is providing free health clinics to those affected by recent hurricanes. Humane Society: The Humane Society said they are deploying a team to Puerto Rico to help animals affected by Hurricane Maria. International Medical Corps: The organization, which provides medical relief to those affected by disasters, set up this page for those affected by Hurricanes Maria and Irma. MedShare: This organization, which collects medical supplies to redistribute to areas in need, set up this campaign for Hurricane Maria. Save the Children: This organization said they are "on the ground in Puerto Rico" helping children affected by the storm. American Red Cross: This is their general disaster relief fund. Americares: This is the humanitarian organization's hurricane relief page. Direct Relief: This is the general donation page for the organization, which is providing relief in Puerto Rico. Global giving: This is their Puerto Rico & Caribbean Hurricane Relief Fund. GoFundMe: This is a page created by the fundraising site that features individual campaigns helping victims of Hurricane Maria. ICNA Relief: This is the Hurricane Maria disaster relief page for the Muslim humanitarian organization. International Relief Teams: This is their Hurricane Maria relief campaign. One America Appeal: This fundraising campaign, started by the five living former U.S. presidents, helps victims of Hurricanes Harvey, Irma and Maria. Project Hope: This is their Hurricane Maria relief campaign. United for Puerto Rico: Started by the first lady of Puerto Rico in collaboration with the private sector, this campaign helps hurricane victims in Puerto Rico. World Vision: This is the Hurricane Maria disaster relief page for the Christian humanitarian organization. Email Puerto Rico's disaster relief team at maria1@prfaa.pr.gov. Because of high volume, officials are asking that people only send one email and no follow-ups. Include as much information about the people you are concerned about and your contact information. Call the Puerto Rico Federal Affairs Administration's Washington, D.C., office at 202-800-3133 or 202-800-3134. Staffers are taking names and numbers to develop plans on conducting welfare checks. Call local Puerto Rico radio station WIPR at 787-777-0940. Use the Red Cross' Safe and Well database, where survivors can mark themselves as safe and family members can search through the list of registrants.